Cita Ciegas is an action. 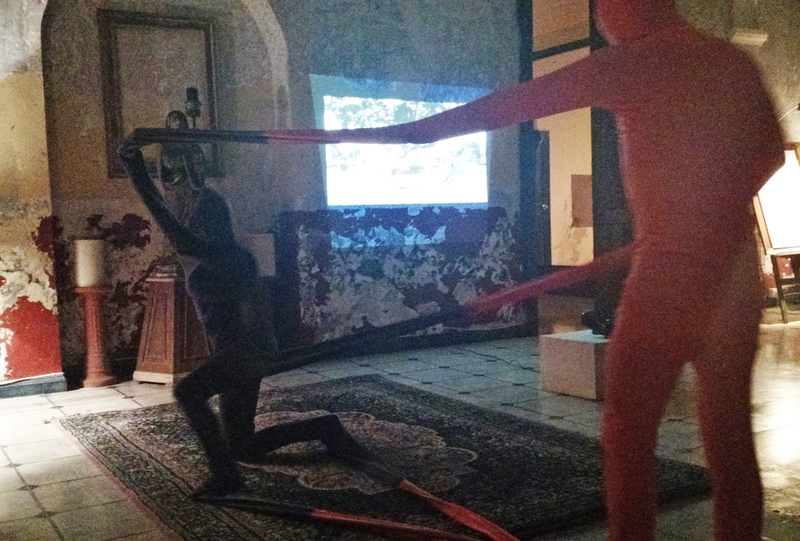 The scenario is specific: locked in a textile sculpture, two anonymous bodies come together and show us how art emerges in the interaction between the two individuals. The rigidity, yet playfulness of the performance unfolds different possibilities and stories which transition from a sculpture to bodily interaction leading to the construction of living artwork. 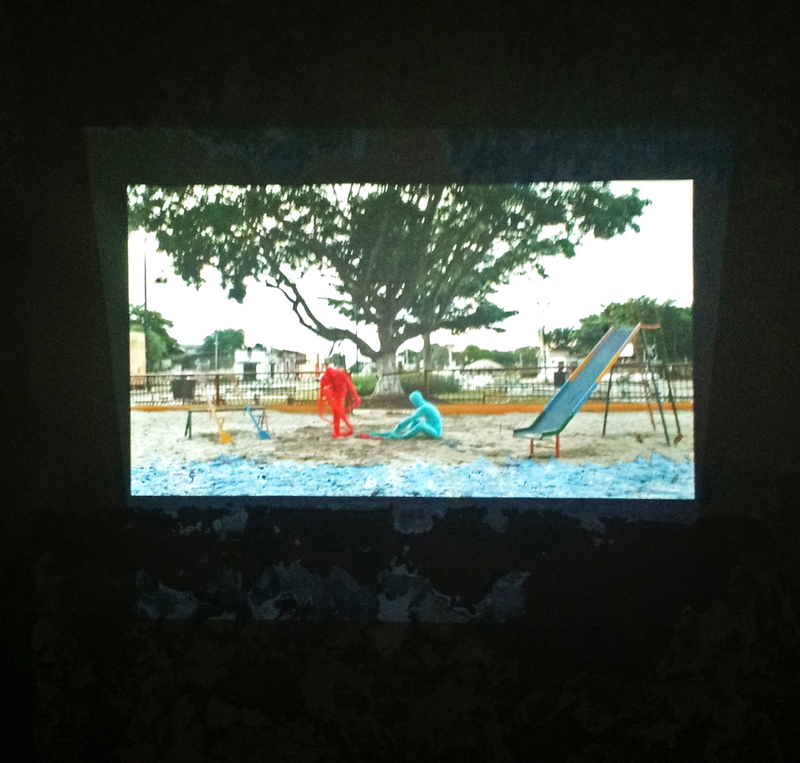 The performance was part of Silva’s thesis project in the Visual Arts program at the School of Arts of Yucatan.